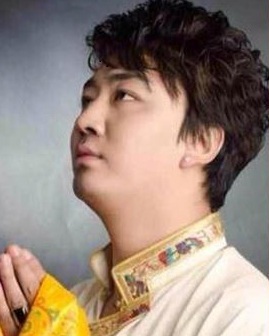 (TibetanReview.net, May21, 2015) – China has jailed a popular Tibetan singer in the middle of Apr 2015 for having sung a song urging fellow-Tibetans to preserve their language and culture, said the exile Tibetan administration at Dharamshala on its Tibet.net website May 19. It said Gonpo Tenzin of Driru (Chinese: Biru) County in Nagchu Prefecture, Tibet Autonomous Region, had been jailed for three and half years by a local court on Apr 15 after being detained and remaining disappeared since Nov 2013. China never gave any reason for arresting Gonpo or for keeping him disappeared that long. On persistent queries from his family, the authorities finally said he was held for his song ‘Where is the New Year in Tibet?’ The song is said to praise Tibetan culture and language and urge their ethnic inheritors to preserve them. He is said to have endured brutal tortured during his long detention. Gonpo Tenzin belongs to Shakchu Township in Driru County; he is married with children and lived there with his aged parents until his unexplained arrest. Driru County remains one of the most severely repressed Tibetan areas after its residents revolted against the imposition of orders in Sep 2013 to fly the Red Flag of communist China from every home and religious building, with many of its monasteries shut down or subjected to endless political education designed to compel allegiance to Chinese rule.